Here is a free tutorial to build this simple 5 foot long entryway bench. This should be an easy build for anyone needing a bench. 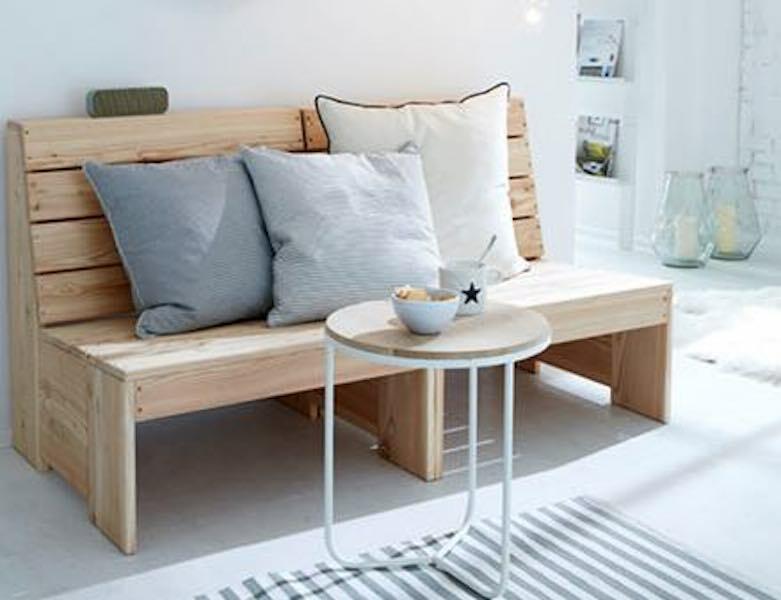 Bench with Storage Crates free plan. With these free plans you can build the bench and also the storage crates. Measuring just 28 inches long it would be perfect for a small space or kids room. For something a little different build this bench which features arms using these free woodworking plans. Entry Bench free woodworking plan. Build this entry bench storage solution with a place for boots, mittens, and hooks for coats. Free instructions available at the link. Hutch Table and Bench free building plan. This handsome piece of furniture, made of solid pine, easily converts from a table to bench, Simply tilt back the tabletop. Cushioned Bench free woodworking project. This Arts and Crafts bench uses stock lumber sizes. Joinery on this one is mostly dowels (pegs and holes). This one would require a bit more cutting of holes, and more routering of details. What could be better than a toy chest that also serves as a desk or bench? 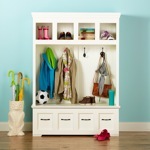 This convertible piece of furniture will offer a cavernous storage space for treasures.